TCP is an America based Inc 5000 company which helps people to repair their credit scores. 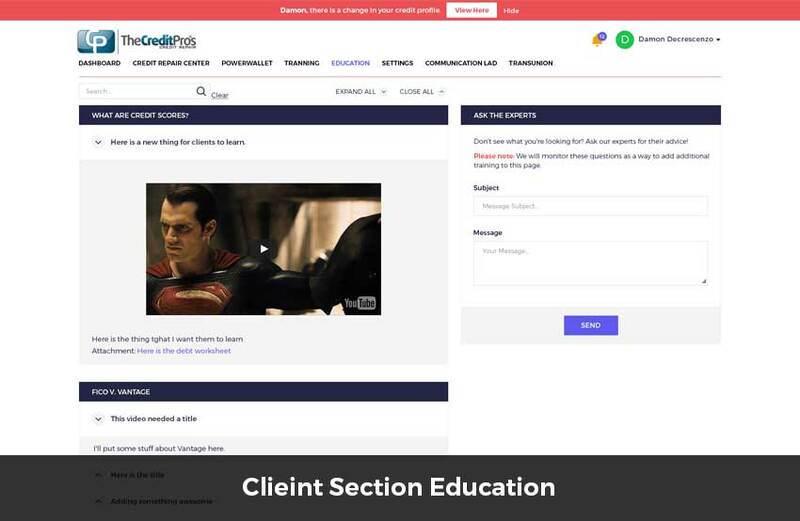 They wanted an easy to use web based CRM system with the help of which they can automate full workflow of their credit repairing services. 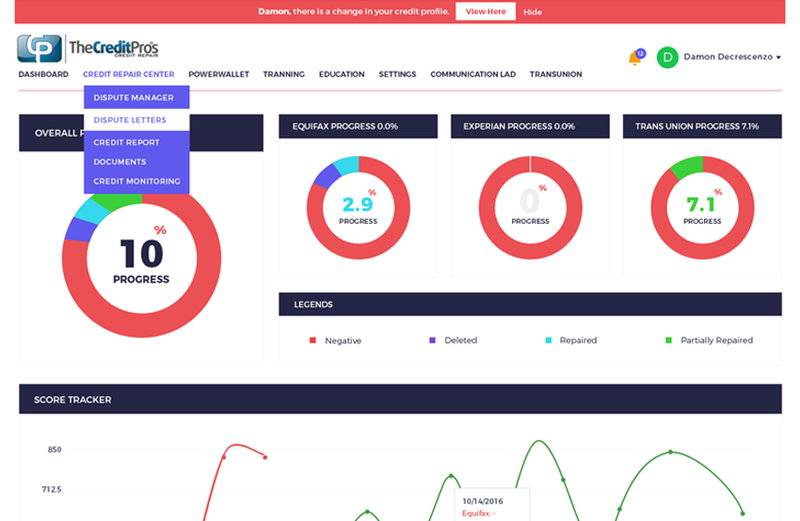 They wanted a flawless backend system so that their internal team can do their operations easily. 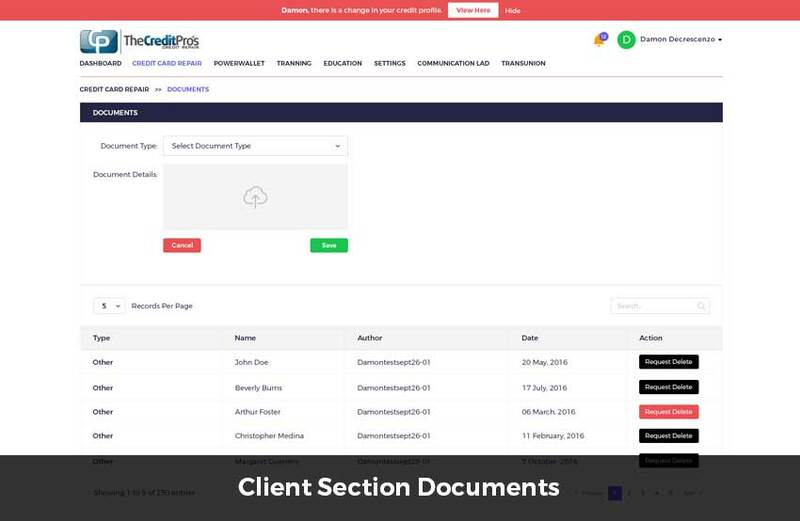 They also wanted user friendly customer section with the help of which their clients can easily login and view their credit reports. 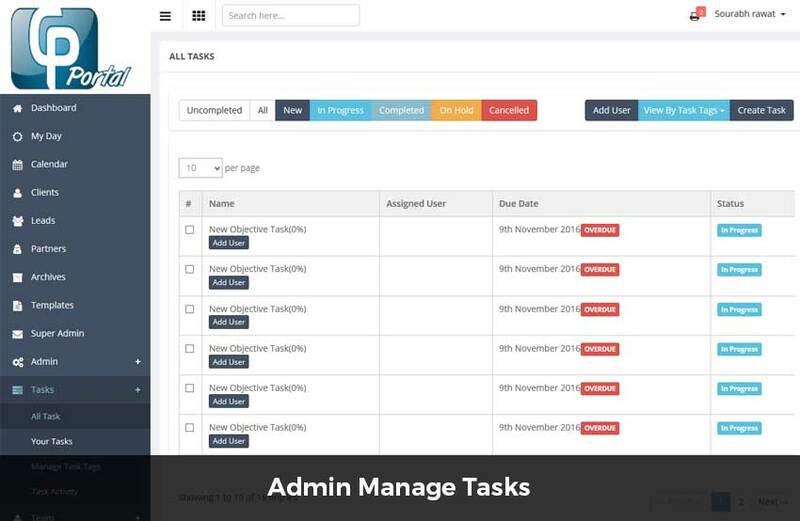 This is a customized CRM developed by our team with the help of which Cpros team can view daily tasks assigned to them. A special Calendar view is provided with the help of which their team can view their monthly events. They can click on a day and add events to it. 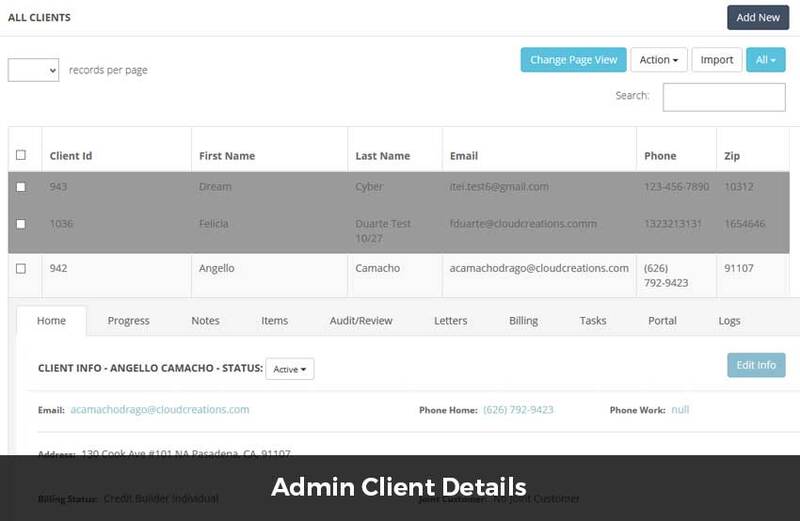 The have a set of features to manage clients, leads and partners. There is also one archive section with the help of which they can view archived clients, leads and partners. There is one advanced template system with the help of which they can manage email and sms templates and add placeholders to it. 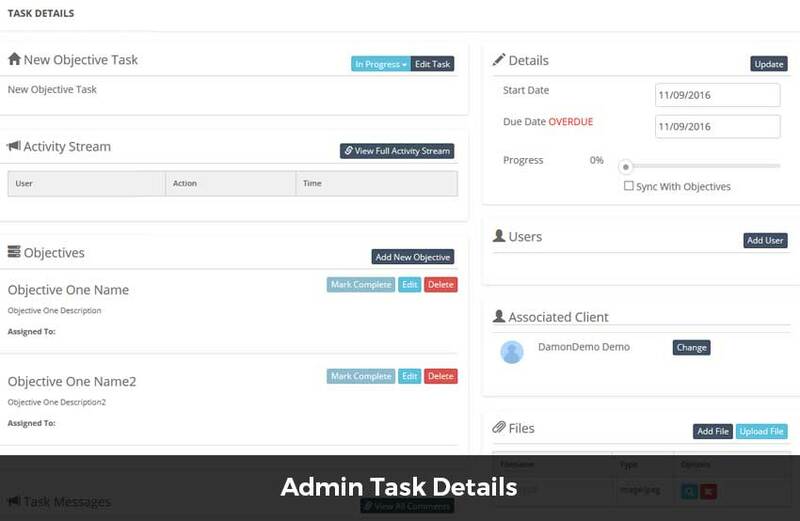 The super admin can manage authentication keys, create activities, sequences and triggers. 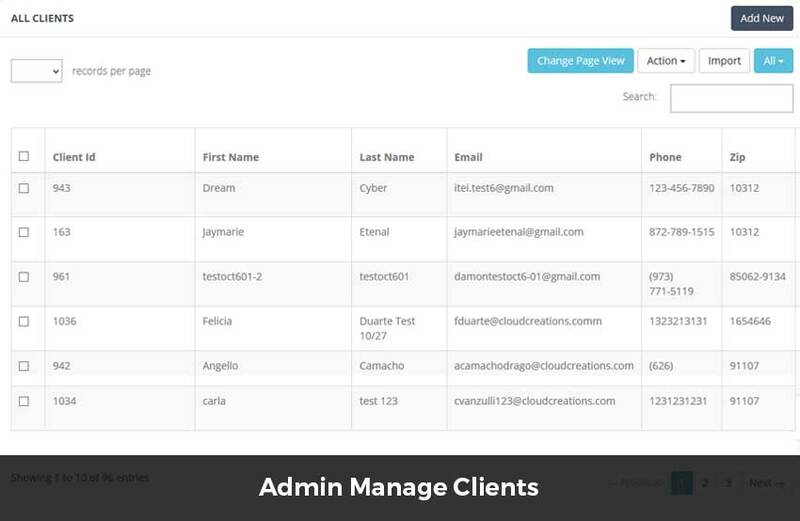 They can also set access level permissions of the client portal. They can also manage API access credentials of various 3rd party API's. The admin can also send fax to various users. The clients can login to the portal and fill a questionare which is setup by admin. Once they fill the questionare they will be able to acess exclusive features of the portal. 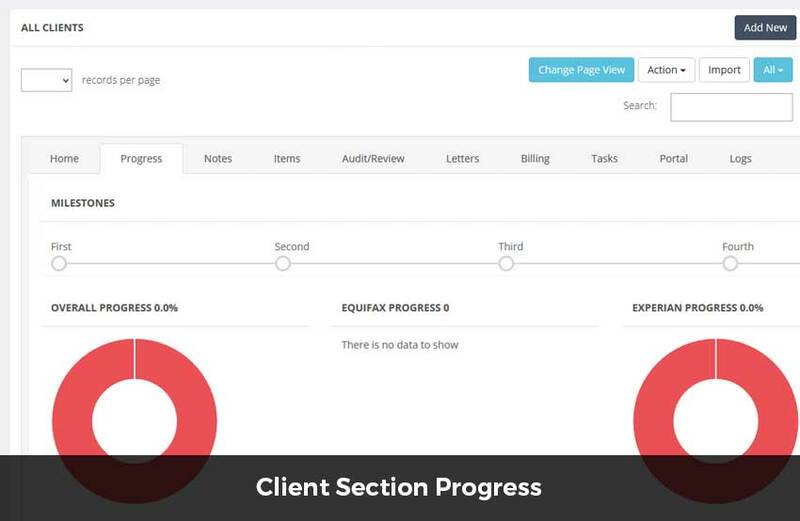 The access levels are determined by the billing category of the client. They can view their credit reports based on the data provided by Transunion. 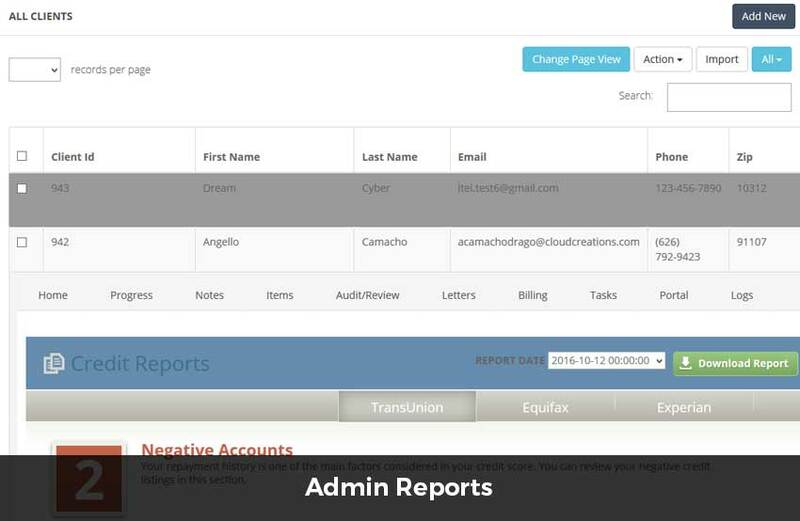 They can view negative, positive credits, inquires and can also view archive reports.